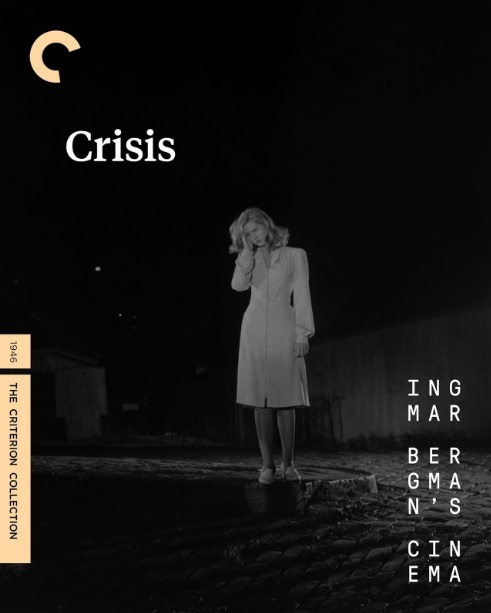 Crisis is the first feature film from the great Ingmar Bergman. Like most first films, it's nowhere near up to the standards the great filmmaker would eventually achieve, but it's still worth a viewing to see the humble beginnings of Bergman. I'm not saying Crisis is a bad film by any means. It's still an engaging little film that shows Bergman's dedication and attention to his craft. It's a gorgeously shot film that does bear Bergman's signature feeling of melancholy. The story centers around a family as a young girl's real mother comes to take her away, and the emotional difficulties that ensue. Original theatrical aspect ratio: 1.33:1.